World class Museums, Casual to Starred Restaurants, Metro Light Rail, Theatre (movies, opera, symphony, plays, ballet) Rice University, St. Thomas, Zoo, Univ. of Houston Downtown. Texas Medical Center. Good walking neighborhood. Voted Audience Winner City Search 2007, Voted Best B & B Houston, Houston Press, 2002. Ten guest rooms, all private baths. Full or Continental Breakfast. Located in three houses setting side by side c. 1898, 1920 and 1938, in Houston's Museum and Arts District, also called The Montrose. Adjacent to downtown Business District, Museum District, Texas Medical Center, Rice Unversity, University of St. Thomas. Striking interior and exteriors. Three suites have fully equipped kitchens.We also enjoy having weddings and/or receptions, teas, luncheons, smaller business meetings, etc. Up to 100 guests.We've been written up in the NY Times, LA Times, Time Magazine, Houston Post, Houston Chronicle, Texas Monthly, Woman's Day, etc. Come see us in the heart of Houston! You are welcome. Robin's Nest is conscious of her responsibility to protect the environment. 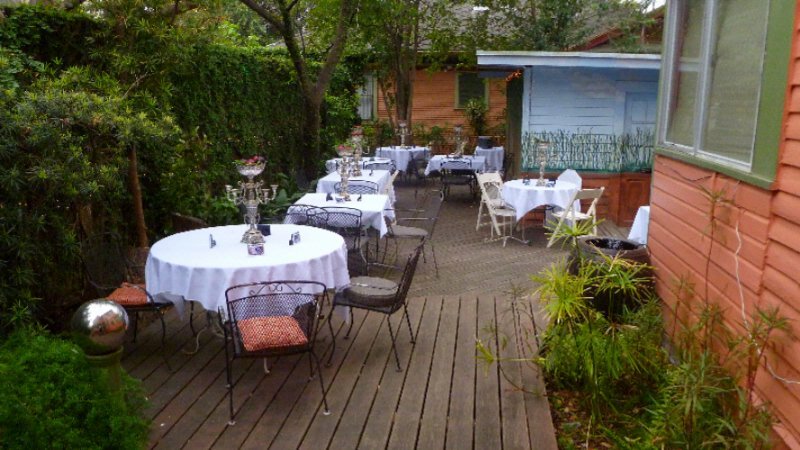 Below are the meeting, banquet, conference and event spaces at Robin's Nest Bed & Breakfast Inn. Feel free to use the Robin's Nest Bed & Breakfast Inn meeting space capacities chart below to help in your event planning. Hotel Planner specializes in Houston event planning for sleeping rooms and meeting space for corporate events, weddings, parties, conventions, negotiated rates and trade shows. 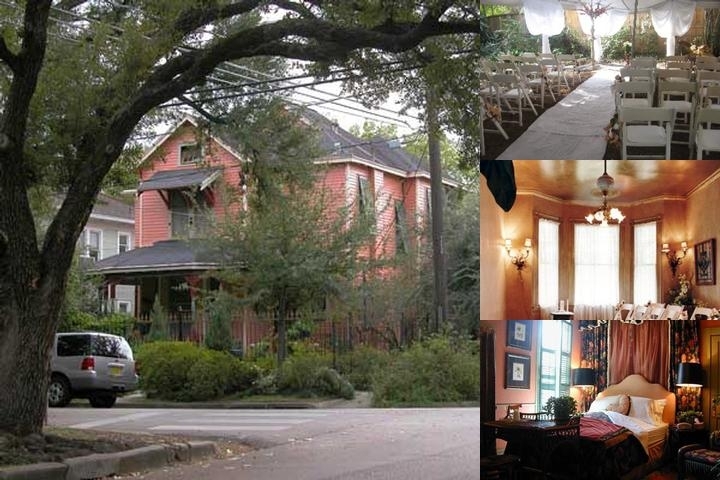 Robin's Nest has three historical houses setting side by side in Houston's Museum and Arts District, also called Montrose. Our dining room converts nicely into a conference room. The exterior to this meeting room/dining room is the wrap-around front porch to the 1898 Victorian. Our other contiguous houses were built in 1920 and 1938 respectively. A very unique, private spot for a smallish, private meeting. Starred restaurants within walking distance. 20 x 14 x 12 Ft.